Great location and price. Huge rooms with lockers, bathrooms for each shared room, food storage and even a fridge. 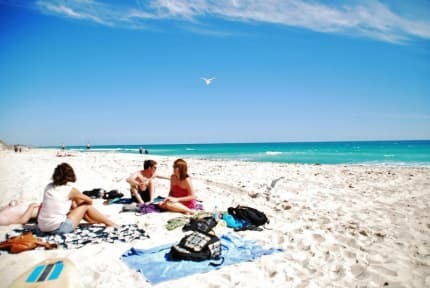 Right on the beach, easily the best hostel if you’re looking to be in Perth and by the beach. Also easy to get a train into the city by walking to the station and then riding for maybe 20 mins. 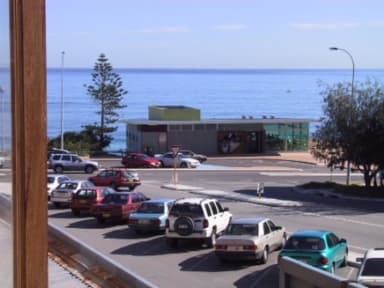 Close to Fremantle as well. Would definitely return. Great hostel and awesome location. Loved my time at Ocean Beach Backpackers. You can be on the beach in 2 minutes, rent a bike if you'd like, and there is a great atmosphere every night. Definitely would suggest booking time here. Just a note, that you are technically in Cottelsloe so not right in the city of Perth - but I didn't mind at all. Loved staying here. Originally only booked for one night, but ended up staying for the next week! Met some great people and couldn't recommend staying here enough. The location of the hostel is ideal and the staff were friendly. However the room was constantly left open and if you were on a top bunk (which were high) there was no form of ladder! The hostel felt a bit clicky with lots of people who clearly lived there long term. The rooms were super hot and pretty noisy too. It really isn’t a bad hostel I just expected a bit more from the basics considering they charge a premium. Facilities were ok but the room was hot as there’s only a fan. Quite a few longer termers so I found it harder to fit in. The hostel is right by a really nice beach which is good but 2 buses away from the centre. Only stayed one night though. Staff were lovely and the hostel is in a good location near the beach- however its pretty old/dirty and could do with a reno. Had people smoking/doing d**** in the room and being noisy until gone 1am, no rules about being respectful to other guests it seems!